The North LAKE SHORE DRIVE plan starts with you! Do you drive on North Lake Shore Drive? Bike or walk on the Lakefront Trail? Use any of the lakefront parks? Or value living by and using Lake Shore Drive? We want your input! We are pleased to announce our first round of public meetings! The Illinois Department of Transportation and the Chicago Department of Transportation have initiated a study to improve North Lake Shore Drive from Grand Avenue to Hollywood Avenue. Tell us how you use North Lake Shore Drive, what the issues are and share your ideas. Come to one of our upcoming meetings as we embark on this important study. The same information will be presented at each location. For more information, visit northlakeshoredrive.org. This entry was posted in Community News and tagged Lake Shore Drive on July 24, 2013 by elvn_updates. Lake View Needs Your Support! As many of us in the Lake View community are aware, this week will be an important milestone in the development not just of Wrigley Field, but a significant amount of the adjacent properties including the “Triangle” and former McDonald’s property. 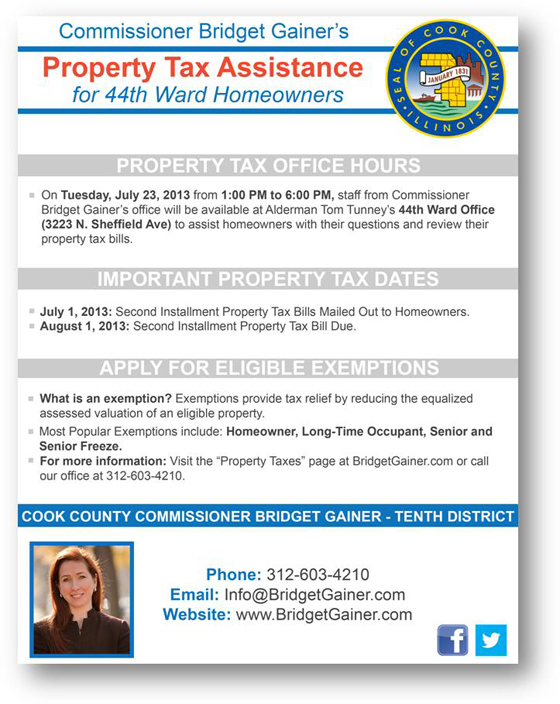 Alderman Tunney has been fighting for the quality of life for our residents and needs your support this week. You may be aware that Alderman Tunney is still seeking modifications to the planned development that is being reviewed by the Committee on Zoning, Landmarks and Building Standards. Specifically, he is seeking a relocation of the hotel entrance away from Patterson Street, elimination of the pedestrian bridge over Clark and a 10 year moratorium on additional signage. In addition, further plans to implement the Neighborhood Protections that were part of the original framework (protection, remote parking and traffic management) need to be agreed upon. How do you feel about the proposed development? Please make your voice heard at the Committee on Zoning, Landmarks and Building Standards meeting! This entry was posted in Community News and tagged Alderman Tunney, City of Chicago, Wrigley Field on July 23, 2013 by elvn_updates. Please join us tonight for the rally to request the city to negotiate and fully vet the proposed planned development for Wrigley Field prior to any approval. 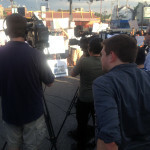 YOUR support and your voice are needed to save our streets from being annexed to the Cubs and the area becoming a digital media circus and open container free-for-all. 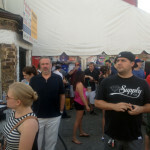 Also, don’t forget to take the survey at wrigleyresidents.com. Time is running out to voice our concerns. Survey results will be tallied on Friday and presented to city officials. 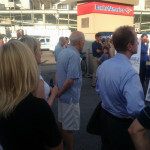 This entry was posted in Community News and tagged City of Chicago, Cubs, Wrigley Field on July 17, 2013 by elvn_updates. Take the Survey: Last Chance to Weigh In on Wrigley Renovations! 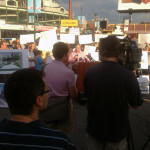 ELVN urges you to share your opinions on the changes that are being passed for Wrigley Field and the surrounding area. We are extremely concerned that the issues have not been clearly defined and are being passed without any vetting. EVERYTHING on the Cubs’ wish list could be APPROVED by July 25th City Council meeting. It is important that you express your opinions by completing the resident’s survey. The time to act is TODAY! This document highlights some of the significant changes included in the Cubs’ proposal (.pdf). 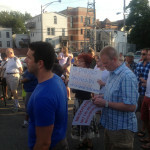 Visit the website and take the survey at www.wrigleyresidents.com. A report based on survey results will be given to the City Council. The Zoning Committee will receive testimony and then vote on the Planned Development. The full City Council could vote on the Planned Development. It is important that our community be fully represented at all meetings and the City and Mayor’s Office hear the concerns of the East Lake View community. Plan to attend if you can. This entry was posted in Community News and tagged Cubs, Lakeview, Wrigley Field on July 15, 2013 by elvn_updates. 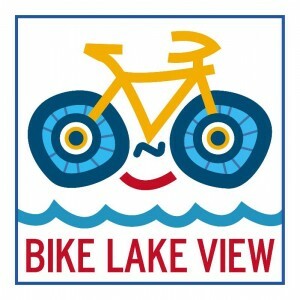 Join the Lake View Citizens Council (LVCC) for a leisurely morning bike ride around Lake View. Get to know your neighbors while exploring our bicycle-friendly neighborhood. Helmets are required, and be sure to bring a lock so you can join us for post-ride coffee. Bike Lake View is a free hour-long neighborhood social ride on the second Sunday of every month. The rides are geared toward all of our neighbors — bring your kids and your grandparents! Local elected officials and neighborhood police are also invited to join us every month. For more information, contact Lee Crandell at crandell@gmail.com. This entry was posted in Community News and tagged LVCC on July 12, 2013 by elvn_updates. The Chicago Architecture Foundation (CAF), the non-profit, is hosting a free public program on the positive and not-so-positive potential impacts of the Wrigley renovation. The program is part of a bi-annual series that covers local urban planning topics like a Chicago casino, the increase of big box stores within city limits, etc. Wrigley will be the July 15th topic. It’s free; they just ask that you register online. This entry was posted in Community News and tagged Wrigley Field on July 11, 2013 by elvn_updates. 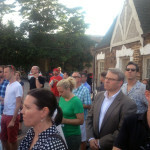 The June 28th Landmarks Commission meeting was attended by a large number of our Lake View Community. 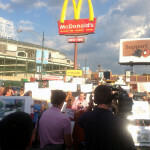 The testimony given by ELVN was that we supported the renovation of Wrigley Field, but were opposed to the extension of Wrigley Field into the City right of way (especially the narrowing of Waveland Avenue), the 1000 square foot sign in right field, and the 6000 square foot jumbotron in left field. These changes could change the ambiance and residential character of residential streets adjacent to Wrigley Field forever. 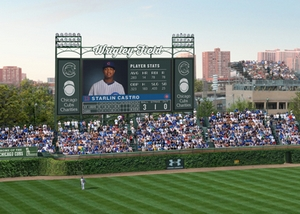 All elements of the Cubs renovation were approved by the Commission except for the 1000 square foot sign in right field and the 6000 square foot jumbotron in left field. These two signs were deferred until the July 11th regular meeting of the Landmarks Commission. The Commission on Chicago Landmarks will hold a regular meeting on THURSDAY, July 11, 2013 at 12:45 p.m. in City Hall, 121 N. LaSalle St., 2nd Floor, in City Council Chambers. Be advised, the process to get City approval of the FRAMEWORK is quickly moving forward. Note the following schedule of future meetings. All meetings will be in City Hall, 121 N. LaSalle St., 2nd Floor, in City Council Chambers. July 23, 10 AM – Zoning Committee The Zoning Committee will receive testimony and then vote on Planned Development. July 24, 10 AM – City Council –The full City Council will vote on the Planned Development. We would also like to again bring to your attention the opportunity to participate in an online survey being conducted to document the concerns of the Lake View Community regarding the redevelopment of Wrigley Field and the adjacent area, (www.wrigleyresidents.com). The results will be shared with the City of Chicago. 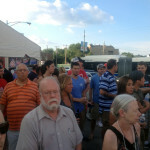 This entry was posted in Community News and tagged City of Chicago, Cubs, Wrigley Field on July 9, 2013 by elvn_updates.